When a plaintiff sues you for copyright infringement but does not attach the allegedly infringed materials to the complaint, but refers to the materials in the complaint, can you move to dismiss the complaint under Rule 12(b)(6) of the Federal Rules of Civil Procedure? The Seventh Circuit seems to say both "no" and "yes" in Sissom v. Snow, --- Fed. Appx. --- (October 1, 2015). In this case, the district court considered the copyright claims of a journalist Carol Sissom who'd written a 2006 book called the LaSalle Street Murders about her investigation of a cold case that led to the case being reopened. In 2012, defendant Robert Snow wrote Slaughter on North LaSalle. Slaughter told the story of Sissom's investigation, subsequent developments and was critical of Sissom. At the heart of Sissom's copyright claims were passages in Slaughter recounting and paraphrasing the investigation described in Sissom's book. A problem for Snow's lawyers: how to get rid of the case quickly and show that there was no copyright infringement when Sissom had failed to attach the allegedly infringed materials and the allegedly infringing materials? Rule 12(b)(6) is a big shortcut. It saves the defendant the time and money of having to prepare a responsive pleading (answer and counterclaims). So Snow's lawyers made a motion to dismiss the complaint pursuant to Rule 12(b)(6) and attached Sissom's book, Snow's book and did a comparison showing that there was no copyright infringement. The district court granted the motion and dismissed the case. Relying on the "incorporation by reference" doctrine, the district court relied on the books referred to in the complaint, but actually supplied by Snow's motion to dismiss. Sissom appealed to the Seventh Circuit. The Seventh Circuit found that the district court erred by considering materials not attached to the complaint on a Rule 12(b)(6) motion and stated that the motion should have been considered as a motion for summary judgment pursuant to Rule 56 of the Federal Rules of Civil Procedure. The Seventh Circuit found the error to be harmless, and affirmed the dismissal of Sissom's claims against Snow with prejudice. Using the incorporation by reference doctrine is, as the Seventh Circuit's decision shows, a tricky path. Practice Tip: In making a motion to dismiss pursuant to Rule 12(b)(6), consider asking in the alternative (in case your motion is not granted) for permission to move for summary judgment also under Rule 56. This will give the court the flexibility to move the case quickly if it feels that additional evidence should be reviewed. Moving for summary judgment requires some additional work and time (preparation of a list of undisputed facts and law for example) and a longer briefing schedule, but may be a surer route to a quick and lasting victory. My book Copyright Litigation Handbook (Thomson Reuters West 2015-2016) contains many practice tips designed to assist attorneys in making litigation decisions and engaging in motion practice. Unlike other works dedicated to copyright law, it seeks to aid the practitioner by showing how to work with clients and investigations, and to navigate the Copyright Office and courts in handling litigation-related matters. Copyright Law: What the Practitioner Needs to Know - Sign Up Today! In Tomaydo-Tomahhdo, LLC v. Vozary, --- Fed.Appx. --- (6th Cir. 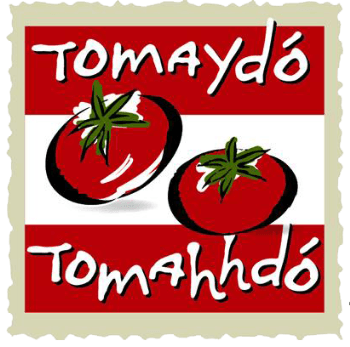 October 20, 2015), the United States Court of Appeals for the Sixth Circuit considered the claims of a Cleveland restaurant Tomaydo-Tomahhdo owner suing a former co-owner whom she claimed copied her recipe book in launching a new catering business, Caterology. As part of a buyout, the former owner had been required to return all menu-related materials. Copyright law covers only original works of authorship. It does not cover recipes. It does not cover lists of ingredients. It does not cover instructions, because "functional directions" are not copyrightable. However recipe books can show originality and obtain copyright protection "if the authors lace their directions for producing dishes with musings about the spiritual nature of cooking or reminiscences they associate with the wafting odors of certain dishes in various stages of preparation." (citation omitted). The Sixth Circuit doesn't say much in its opinion about the materials that it was looking at and it states that the plaintiff didn't point out anything creative or original in the materials. The case law is littered with plaintiffs seeking to use copyright law to obtain relief that should have been obtained through contract or relief that - if warranted- might be more appropriate under the law of unfair competition. My book Copyright Litigation Handbook (Thomson Reuters 2015-2016) discusses the difference between contracts involving copyrighted materials and questions arising under the Copyright Act.